Childish Gambino headlined Coachella’s first night—the first of his two performances across the festival’s two weekends. The rapper and vocalist premiered his new Rihanna-starring film Guava Island, which has since been made available on Amazon Prime Video for a limited time. 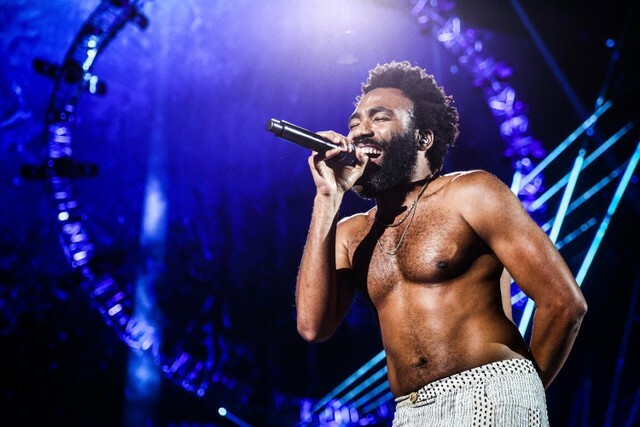 If that weren’t enough, Donald Glover also debuted a heavy new song—possibly titled “Warlords”—during his set, as Stereogum points out. The bass-heavy track opens with Glover chanting rhythmically through AutoTune, with dancers joining him on stage for the Coachella performance. Elsewhere in his set, Glover performed a breathtaking, gospel rendition of Gnarls Barkley’s 2006 hit “Crazy,” smoked a joint with one fan, and paid tribute to Nipsey Hussle, Mac Miller, his father, and the audience. Glover’s latest Childish Gambino album “Awaken, My Love!” was released in 2016. In February, his song “This Is America won the Grammy Awards for Record Of The Year, Song Of The Year, Best Rap/Sung Performance, and Best Music Video. Last month, Glover settled a royalties dispute with Glassnote Records, the label who released his first three albums. Watch a clip of last night’s Coachella performance below.